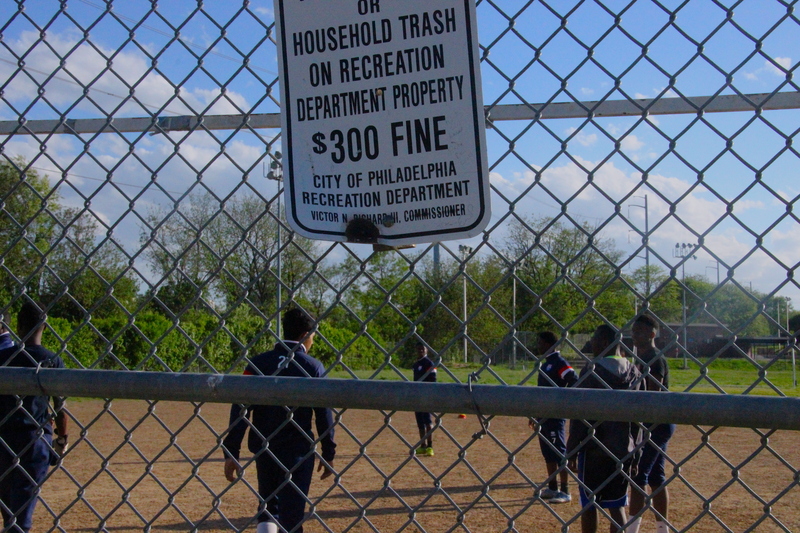 Junior Lone Star, a team from the south of Philadelphia competing in the UPSL, is a club originally founded in 2001 for West African refugees fleeing their home countries. Read the story of this team which is like no other one. Every evening they gather. Junior Lone Star’s players emerge from the row houses of Southwest Philly at dusk, that hour when work’s done, school’s out and the sun dips behind the highway ramps. They ready for training on a low stone wall patched with concrete. Under their feet is evidence of a busy drug trade – broken glass from vials bought and sold behind home plate at the far end of McCreesh Playground. Junior Lone Star was founded in 2001 by and for West African refugees fleeing war in their home countries. The club grew grew from a handful of Liberians into a pan-African soccer congress with four teams. They’re a power not just in Philadelphia’s inner city, but nation-wide. The senior team, playing in the National Premier Soccer League (NPSL), qualified for the 2017 U.S. Open Cup. Derrick Jones, now with MLS’s local top-tier side Philadelphia Union, is among a growing list of former Lone Stars who’ve moved from the ruddy pitches of South Philly up to the bigger, smoother stages. Many of the players, especially the young ones, spend nights at Bobby Ali’s house. They come to wash their clothes or have a hot meal when they have nowhere else to turn. Junior Lone Star has more challenges than your average soccer club. It’s no cliché to say: it’s more than a club. Much, much more. And Bobby Ali is more than a coach. Neighborhoods like these have been forgotten. Or worse, they’re ignored. It’s hard to believe this is America, the wealthiest country on earth, when Junior Lone Star take the field, hoping it’s not one of those nights at McCreesh when the floodlights don’t click on. “We have to beg the city to turn the lights on – it’s the same thing all the time,” said Ali, worn out from fighting the good fight for so many years. And when those lights don’t shine, the players don’t complain. These guys know adversity. They move a little closer to the basketball court, where there’s always light, and try not to get lost in the shadows.